Michigan Ave. is just full of beautiful beds of fall flowers. 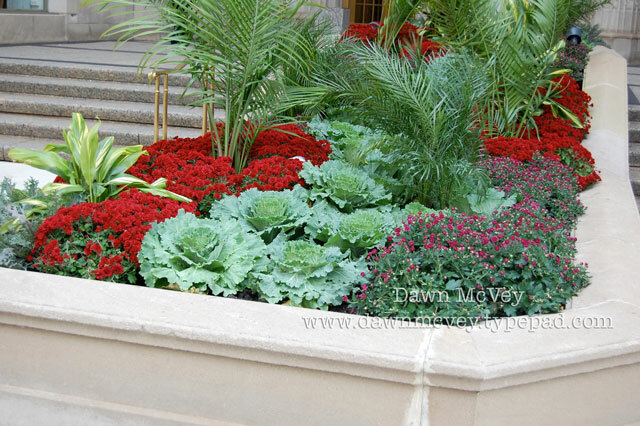 I especially loved this one which paired red mums and what looks like cabbage?!! SO pretty, right?